Paul Manafort's Activities Arouse Interest Of Ukrainian Prosecutors : Parallels Ukrainian investigators are seeking to understand the former Trump campaign manager's ties, if any, to former President Viktor Yanukovych at the time when anti-government protesters were shot in 2014. Ukrainian investigators are seeking to understand the extent of the ties Paul Manafort, shown here in July 2016, had with former Ukrainian President Viktor Yanukovych. Paul Manafort quit as Donald Trump's campaign manager last summer amid questions about his consulting work for a disgraced Ukrainian leader who now is a wanted man in his own country. While Manafort vanished from Ukraine's political scene even earlier, his name lives on in Kiev. Ukrainian investigators are seeking to understand his ties, if any, to former President Viktor Yanukovych at the time of the shooting of anti-government protesters on the capital's central square, known as the Maidan, in February 2014. Manafort is central to questions about the extent of Russian influence in the U.S. presidential election. The FBI is investigating whether Trump associates coordinated with Russia in those efforts, although it has not disclosed which individuals are under scrutiny. 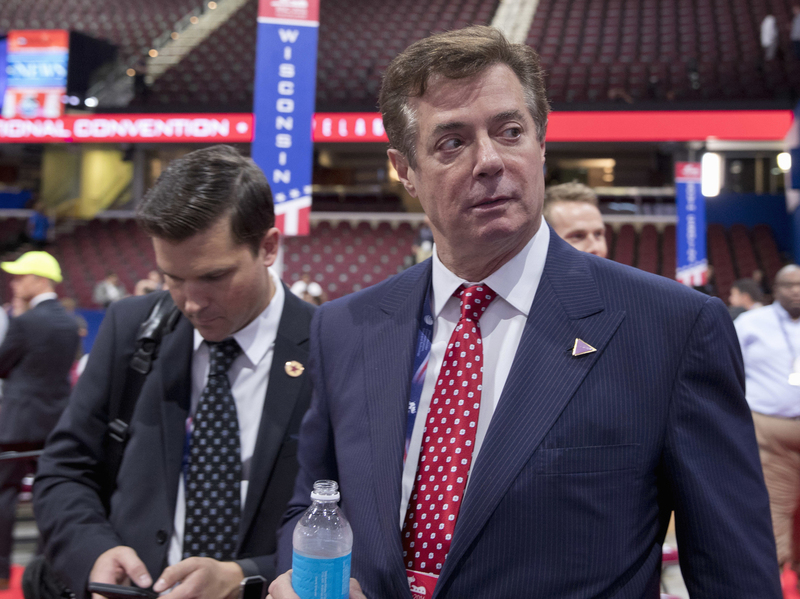 Manafort served as Trump's campaign chairman during the spring and summer of 2016. Manafort himself is not the subject of a Ukrainian investigation. But following the publication in February of allegedly hacked text messages in which Manafort's daughter Andrea refers to "blood money" earned in Ukraine – presumably a reference to the deaths on the central square – prosecutors in Kiev want to know exactly when he cut his ties to Yanukovych. 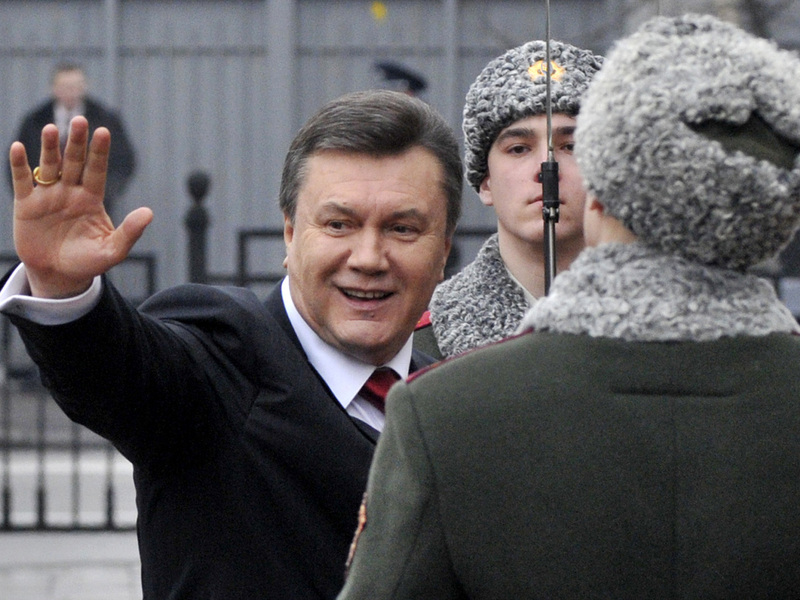 Viktor Yanukovych waves to his supporters before being sworn in as Ukraine's president in 2010. "Of course, we will check that out in the context of whether Manafort was in Ukraine at the time of the Maidan and specifically what he was doing in relation to the Ukrainian government," prosecutor Serhiy Gorbatyuk told NPR in an interview. Manafort declined to comment, only saying through his spokesman, Jason Maloni, that he hoped Ukrainian investigators would look into an alleged blackmail attempt against him. Gorbatyuk heads an office charged with investigating the Yanukovych government, especially at the time of the bloodshed on the Maidan. Gorbatyuk says he is still waiting for an FBI response to multiple requests for help in questioning Manafort as a witness in another Yanukovych-era corruption case. The 2014 Maidan revolution threw Ukraine into turmoil. Hundreds of thousands of Ukrainians took to the streets to protest Yanukovych's decision to reject an association agreement with the European Union and align Ukraine more closely with Russia. After the protests turned violent, Yanukovych fled to Russia, where he remains. In the ensuing power vacuum, Russia annexed Crimea and supported an armed uprising by pro-Kremlin separatists in eastern Ukraine. Paul Manafort's office in Ukraine used to be located at 4 Sofiiska St. in central Kiev. 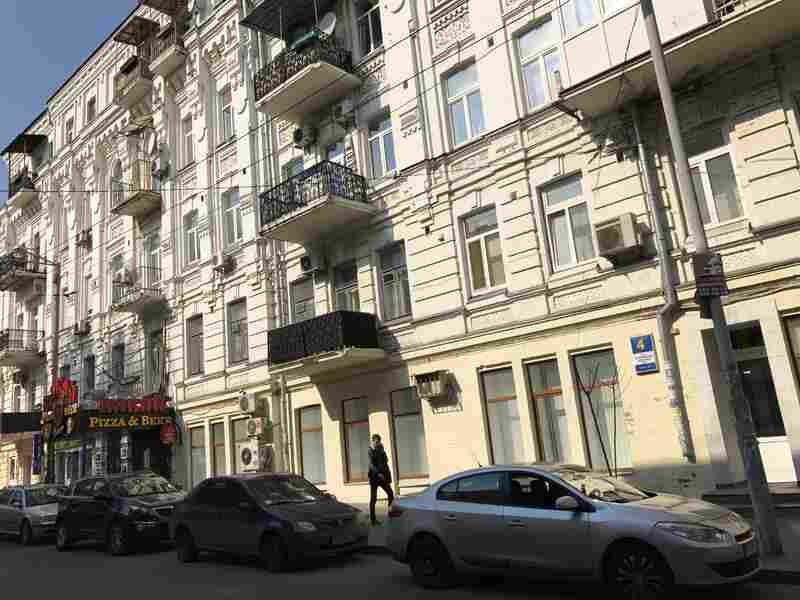 It's not clear when Manafort last visited his Kiev office, which used to be in a century-old brick building on a quiet side street off the Maidan. But his name resurfaced last August, when the New York Times reported that it was included in secret "black ledgers" that appeared to document Yanukovych's cash payments to political allies. Shortly afterward, Manafort resigned as manager for Trump's presidential campaign. The story didn't end there — at least not in Ukraine. In March, Ukrainian lawmaker Serhiy Leshchenko released financial documents that he said were found in Manafort's former office and showed that on one occasion, Yanukovych used an offshore bank account and phony invoice to pay Manafort $750,000. Manafort denied the allegations, according to the New York Times. Earlier this week, the Associated Press reported that the same amount, also listed in a "black ledger," had actually been received by Manafort's consulting firm in the U.S.
Last summer, the fledgling National Anti-Corruption Bureau of Ukraine published the instances that Manafort's name is listed in the "black ledgers." 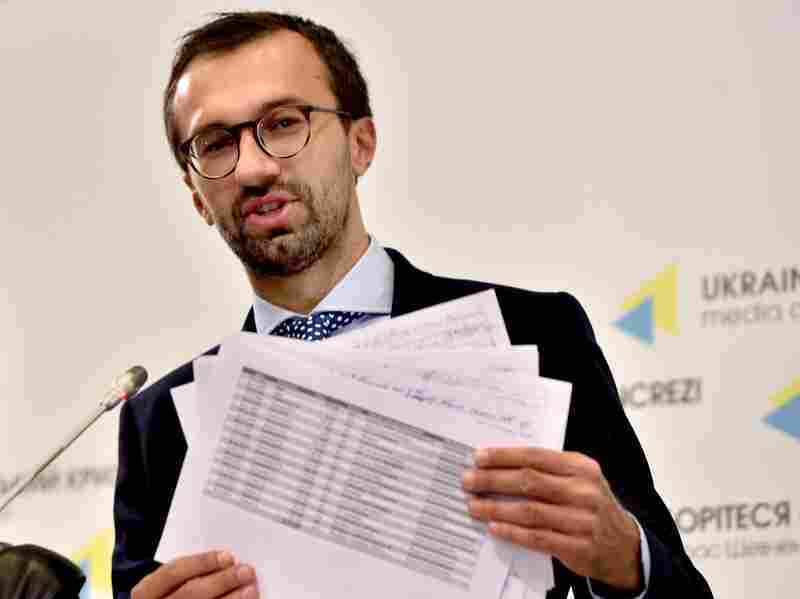 Ukrainian parliamentarian Serhiy Leshchenko released documents allegedly showing payments to Paul Manafort from former Ukrainian president Viktor Yanukovych. Ukrainian investigators say they are interested in ascertaining whether such financial transactions were part of corrupt schemes used by government officials. To get to the bottom of their investigations, they rely on cooperation with foreign law enforcement agencies, including from the U.S.
"We need effective legal cooperation. We need a quick response to our requests," said Dariya Manzhura, a NABU spokeswoman. "Otherwise we won't be able to gather enough materials and evidence." Ukraine, which gained independence from the Soviet Union in 1991, has struggled to build independent government institutions. Because of its long historical ties to Moscow, Ukraine is probably the country that has been most affected by Russia politically. In Yanukovych's first bid for the Ukrainian presidency, in 2004, his most influential advisers were Russian. President Vladimir Putin openly backed his candidacy. Ironically, Yanukovych hired Manafort exactly because his Russian advisers had failed to get him elected that time. Taras Chornovil, a former Yanukovych confidant, says he clashed with Manafort over strategy in the 2006 parliamentary elections. "I didn't see any ideology in him," said Chornovil. But he says he found it "suspicious" that Manafort pushed a message favoring closer alignment with Russia and opposing Ukraine joining NATO. 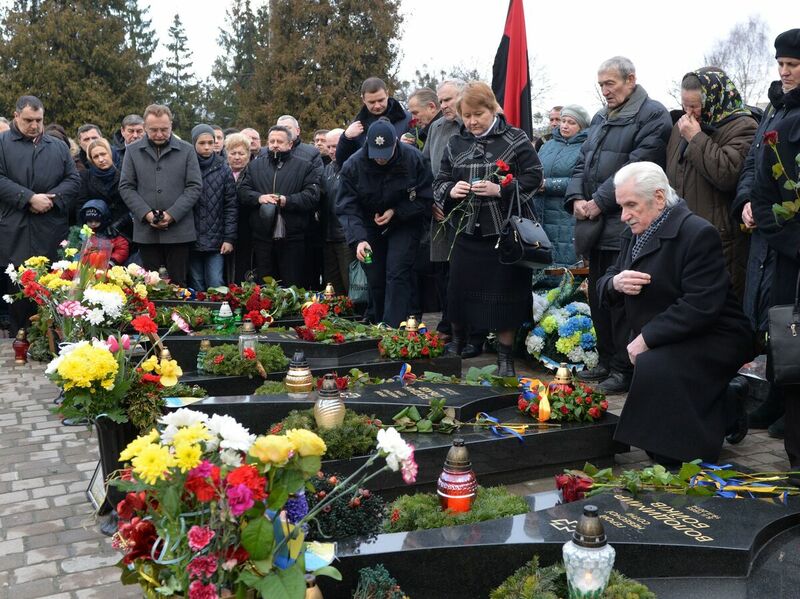 On the second anniversary of the 2014 shooting of anti-government protesters, people attend a memorial ceremony at the graves of slain Maidan activists in the western Ukrainian city of Lviv. Andriy Yermolayev, a former Yanukovych adviser who met Manafort regularly over coffee, remembers the American consultant completely differently. "I absolutely don't agree with the way Manafort is characterized," he said, "because he had his principles and supported a pro-Western course for Ukraine." Manafort was "disappointed" with Yanukovych's fateful decision not to sign the EU agreement in November 2013, according to Yermolayev. Manafort's defenders in Ukraine say he has been caught in a web of political intrigue that stretches to America. Ukrainian investigators insist they're just doing their job.